Google joined the celebrations of the barcodeâ€™s 57th anniversary by using the humble barcode as its logo today. 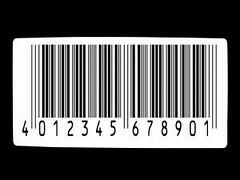 The barcode was birthed in 1952 when it was patented by Norman Woodland and Bernard Silver. The Barcode has grown over the years to become the leading optical machine-readable data representation finding its way onto the majority of products and goods both in the retail and shopping spheres and within the warehouse. The barcode is used as a standard for automatic data capture and labeling identification. Using a barcode system allows for quick, accurate data processing which is reliable and low cost, allowing for boxes, totes, products etc to be quickly and accurately identified at any chosen point in the warehouse. Track and traceability – identify and track your product through the warehouse. Know where stock is placed, where it needs to be picked from and when and where it exits the system. Increase accuracy – barcode data entry minimises data inaccuracy by allowing the system to automatically identify each product. Human error is reduced and data trails are accurate. Increase speed – scan and identify product in a second. Managing inventory– have the tools to perform stock rotation, stock quarantine, quality checking and general stock management. Picking – Direct pickers through barcode technology. Identify efficient pick routes and reduce human error. Integrated system – integrate barcode technology into your warehouse management, manage the warehouse more accurately by knowing where product is, your efficiencies, identifying needs and recognizing trends.